Hello world!, My name is Diego and I've created this blog to publish some information and experiences on the GNU/Linux world based in my own experience as a user and as an administrator. My main goal is to publish some little tools that I've coded to make my life easier. 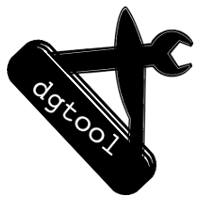 I hope you to enjoy 'dgtool' and of course everybody is welcome to involve and criticize (to help to improve). I will publish a post every time I upload a tool just to explain what is it about and maybe some of its history :). No more to say... for now and welcome.